In a perfect world, there would be no accidents and no one would ever get hurt. Unfortunately, we don’t live in a perfect world and whether we like it or not accidents do happen and people do get hurt. But, when we are prepared and have the right equipment we can take bad situations and keep them from turning into terrible situations. That’s where our selection of rescue equipment comes into play. While having a rescue plan in place is required by law, there are few requirements about the details of those plans and the equipment you should have in the event of a rescue situation. Our selection of rescue equipment includes auto descent devices, components, kits, and patient care equipment. When someone has experienced a fall getting them to the ground and to safety is a top priority. Our selection of auto descent devices will help you ensure that if something goes wrong you are prepared to perform the perfect rescue. We feature a range of descent devices including SRLs, pulley systems, and complete kits. When a rescue situation arises being prepared is the difference between someone going home to their family and not. Being prepared involves having a range of equipment that can cover any situation and having the ability to perform the rescue in a short amount of time. That’s where our selection of components come in. Our rescue components include anything and everything you would need to perform a rescue from rope grabs, descenders, and harnesses to pulleys, straps, bags, and so much more. Picking out all of the equipment needed for your rescue kit can be time-consuming and stressful. Not to mention that sometimes you’re not sure what exactly you need. Don’t worry. Our Gear Experts® have got you covered with our selection of rescue kits. With a kit for nearly every situation, you can be ready to perform a rescue with the click of a button. If our available kits don’t meet your needs don’t worry, they are fully customizable. Simply contact one of our Gear Experts® [insert link here] and we can help you build exactly what you need. Our state-of-the-art account management system allows us to create custom kits, built specifically to suit your needs. The benefit of this type of system is that next time you call in; you have the same pricing and the same products every time. You don’t have to go through countless emails and talk to 5 different people to make sure that you are getting the exact same kit you got last time because we do that for you. Sometimes a rescue requires additional equipment depending on the condition of the person being rescued. A proper rescue plan will involve equipment that has the sole purpose of treating or preventing injury. Our selection of patient care supplies includes everything you might need in a rescue situation. GME Supply is your one-stop shop for stretchers, first aid kits, respirators, extraction gear, and more. Not sure what you need for your next rescue or looking for something specific? 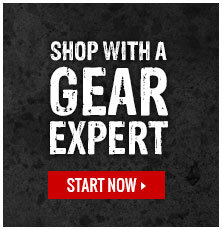 Click here to contact one of our Gear Experts® for more information.